The founder is said to be Neri Corsini, who came to prominence circa 1170. The family are likely to have originated from Corsica, during the time when the Republic of Pisa was ruling the island. Initially the family was known as Corso (from Corsica) then Corsino and finally Corsini. 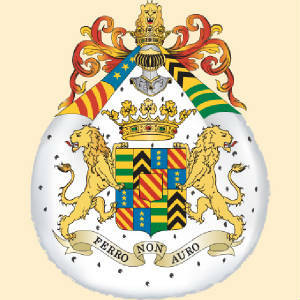 Like other Florentine nobles the Corsini initially had no titles, but in more recent times they received many from foreign potentates and from the later grand dukes of Tuscany. Saint Andrew Corsini (1302-1373) was a member of this family. The Holy Roman Emperor Charles IV made the head of the house a Count palatine in 1371; the marquisate of Sismano was conferred on them in 1620, those of Casigliano and Civitella in 1629, of Lajatico and Orciatico in 1644, of Giovagallo and Tresana in 1652. In 1730 Lorenzo Corsini was elected pope as Clement XII, made a nephew (a true nepote) Cardinal Neri Corsini, and conferred the rank of Roman princes and the duchy of Casigliano on his family; in 1732 they were created Grandees of Spain. They owned two palaces in Florence, one of which on the Lungarno Corsini (see Palazzo Corsini) contains the finest painting galleries in the city, and many villas and rural estates in various parts of Italy, including Prato. The family de Cosse-Brissac belongs to the high nobility of the end of the old French regime with proofs of Nobility from 1492. 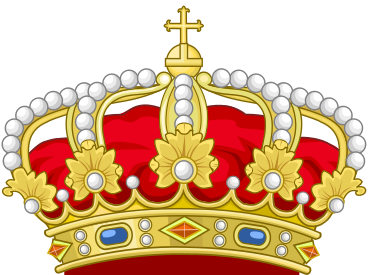 The family gave four marshals to France, various generals, peers of France, six knights of the Holy Spirit, two governors of Paris, the great baker of France, the great falconer of France, three bishops and also a politician in the Fifth Republic French, the family motto is Virtute Tempore (Courage and Time). 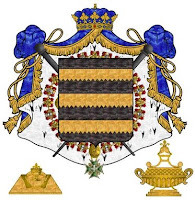 Dukedom of Brissac is the title of a distinguished noble family of France. The fief of Brissac in Anjou was acquired at the end of the 15th century by a noble French family named Cossé belonging to the same province. René de Cossé married into the Gouffier family, who were at that time very powerful at court. He was awarded the title of premier panetier (baker extraordinaire) to Louis XII. Two of his sons were marshals of France. Brissac was assigned the status of county in 1560 and allotted to Charles, the elder, who was grandmaster of artillery, and governor of Piedmont and of Picardy. It was he who introduced the Italian violin to the French court. The second, Artus, who held the offices of grand panetier of France and superintendent of finance, distinguished himself in the religious wars. Charles II de Cossé, Duke of Brissac fought for the League, and as governor of Paris opened the gates of that town to Henry IV, who created him marshal of France in 1594. Brissac was raised in status to a duchy in the peerage of France in 1611. Louis Hercule Timoléon de Cossé-Brissac, the commandant of the constitutional guard of Louis XVI, was killed during the September Massacres at Versailles on September 9, 1792 for his devotion to the king, at which his body was butchered and his head severed. The head was wrapped in a cloth and transported by a drunken peasant mob to the château de Louveciennes, and thrown into an open window, landing at the feet of his lover, Madame du Barry. Charles de Cosse-Brissac (1904-1990), general director of the History Department of the Army. Pierre de Cosse Brissac (1900-1993), Ecole Polytechnique, an artillery officer and then industrial, President of the Jockey Club. Charles-Henri de Cosse-Brissac (1936-2003), Chairman of the General Council of Loire-Atlantique and Senator . During the war in Algeria , the Abbe de Cosse-Brissac, pastor of the church of Saint-Michel de Dijon , became known for his denunciation of the use of torture by the French army he calls " collective sin " . The Duchy of Uzès, often called the First Duchy of France, is France's oldest ducal peerage. The Viscounty of Uzes was elevated to Duchy in 1565, and to the Peerage in 1572 by Charles 1X. Ever since then, the Duke of Uzes, 1st Peer of France, Count of Crussol, Prince of Soyons, takes precedence over all other noble houses of France, both in Parliament and at Coronations. At Court, after the extinction of the Duchy of Montmorency under Louis XIII in 1632, only the Duchy of Trémoille, created in 1563 had precedence, until it became extinct at the beginning of the 20th century. Today, Jacques de Crussol d'Uzes is the 17th Duke. On 24 June 1486 Jacques, Baron of Crussol, married Simone, only daughter of the Viscount of Uzes, and last direct descendant of the house of Uzes, thus uniting the 2 families through marriage. Jacques Baron of Crussol came from a family of Knights from the Vivarais region. His father Louis was President of the Privy Council, Governor of the Dauphiné and a confidant of Louis XI. The king created the Order of St Michael in 1469 and Louis de Crussol was one of the first members of this order. The fortified town of Crussol (now in ruins) can be seen on the Ardeche hills overlooking the Rhone opposite the town of Valence. Jacques and his son Charles, (who was a friend of the Chevalier Bayard, known as the "Knight without Fear, and Beyond Reproach") took part in the Italian Campaigns and were appointed commanders in the Languedoc. Charles also became Grand Master of the Artillery following in the footsteps of his father-in-law Jacques Galiot de Genouihac. At Amboise, on 10 April 1556 in the presence of King Henry II, Antoine, Viscount of Uzes, Baron of Crussol, married Louise de Clermont-Tallart. As Viscountess, and later Duchess, of Uzes, she gained esteem both at the French court and abroad, for her lively intellect, her knowledge and her rank. She became one of Catherine de Medici's favourites, and was very close to Elizabeth 1st, Queen of England, with whom she exchanged copious correspondence. She was governess to (the heir) Charles 1X who called her "Ma vielle lanterne" (My old guiding light). Her husband too was held in high regard, and was appointed Lieutenant General of the Languedoc, of Provence and of the Dauphiné. He was respected by both catholics and protestants who each named him as their leader. He managed to secure peace among them during the Wars of Religion. He became the first Duke of Uzes. Antoine died in 1573 without an heir and the dukedom passed to his brother Jacques, a protestant leader known as The Steely Baron. After his capture at the battle of Moncontour in 1569, he converted to catholicism and became a faithful servant of the Crown. He was made Colonel General of the Infantry, and in 1578, a Knight of the Holy Spirit. He is the common ancestor of all the suceeding Dukes of Uzes. 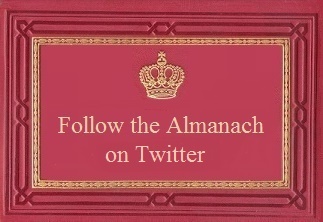 From the 17th century onwards the Dukes were obliged to be at Court attending the King. They only returned to Uzes occasionally, or when they had retired after handing over their charge to their eldest son whose title from 1674 onwards was the Duke of Crussol. Various members of the House of Uzes became Lieutenant Generals, Colonels of regiments bearing their name, officers of the King's Household, military men, (army officers) bishops or archbishops, Abbots, Bailiffs of the Order of Malta, ambassadors, Members of the Queen's Household, Grand Master of the Royal Household, Members of Parliament under the Republic, and there was even an explorer in Africa. However certain titles were never attained, and Louis XVIII remarked one day that no Duke of Uzes had ever been a Marshal of France (meaning he had not led France to victory on the battlefield). The Duke replied "Sire, we get killed before then. "It was the same Duke of Uzes who, on the death of Louis XVIII, uttered the time honoured proclamation "The King is dead, long live the King". Before the second world war, the Marchioness of Crussol, presided over one of the last Parisian salons. She was a close friend of Edouard Daladier, President of the Council of Ministers, and in 1964 persuaded André Malraux, Minister of Culture under General de Gaulle to classify Uzes as a conservation area. To thank him she invited him to come and visit, but the writer laughed that "Uzes is further away than China" and never came. In 1727, the 20-year-old Duke of Crussol went to the opera with a novelty box out of which sprang a metalic spider. He did this in front of Count Rantzau who was not amused. Despite duels being banned they fought one, and after the Duke killed the Count he was exiled to Uzes for a year. In 1740 he was again exiled and led a joyous party life, full of fun and pranks. He also kept up a substantial correspondence with Voltaire. The Duchesse of Uzes, née Rochechouart de Mortemart was the first woman in France to obtain a driving licence...in 1889 she and her son Jacques were fined for speeding at nearly 15 kph in their Delahaye in the Bois de Boulogne. Her Hunt, the Rallye Bonnelles, chased more than 2000 deer and she was the first woman Lieutenant de Louveterie. (An Official Appointment to get rid of Wolves...) Heiress to the Veuve Cliquot fortune, she financed General Boulanger whose ambition it was to overthrow the French Republic. She wrote under the name of Manuela, and also sculpted the statue of St Hubert (Patron of the Hunt) in the Sacré Coeur Basilica in Paris. She was a feminist who was interested in furthering social welfare, and became a friend of the anarchist Louise Michel. La viscounty of Uzès became a duchy by letters patent of Charles IX issued at Mont-de-Marsan in May 1565. 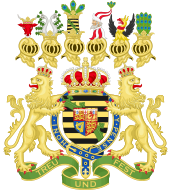 The dukes were included in the peerage of France from 1572, and by the time of the French Revolution they were the senior peers, ranked immediately after the Princes of the Blood. Czartoryski (Polish plural: Czartoryscy) (Ukrainian: Chortoryisky Lithuanian: Cartoriskis) is the surname of a Polish-Ruthenian-Lithuanian magnate family also known as the Familia. They used the Czartoryski coat of arms and were the leading noble family of the Polish-Lithuanian Commonwealth in the 18th century. The Princes Czartoryski ruled the Grand Duchy of Lithuania in the 13 th century. In 1386 Grand Duke Jogaila married a Polish princess and became King Wladyslaw Jagiello, thereby founding the Royal Dynasty of the Jagellonian which was to rule for two centuries. 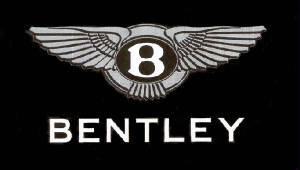 The junior branch of the family came to be known by a name deriving from the main Czartorysk seat in Volhynia. At around the end of the 17 th Century the family's royal ambitions were revived by Prince Kazimierz Czartoryski (1674-1741), who was Duke of Klewan and Zukow, and Castellan of Wilno. Intelligent, highly educated and ambitious, in 1693 Kazimierz marries Isabella Morsztyn, daughter of the Grand Treasurer of Poland. Thus begins the "Familia" dynasty carried on by Kazimierz and Isabella's four children: Mikhal, August, Konstancja and Teodor. Mikhal (1696-1777) became Chancellor of Lithuania and his daughter Antonina married Jan Jerzy Flemming, the wealthy treasurer of Lithuania. The couple's only daughter Izabella founded the museum. August (1697-1782), Mikhal's younger brother, was the financial genius of the "Familia". He became the Palatine of Ruthenia and married Sofia Sienawska, who was heiress to two fabulous fortunes and whose dowry included two main family residences at Pulawy and Wilanow. Their son, Adam Kazimierz, who married their niece Isabella, was to become the hope of the dynasty. Konstancja meanwhile married the brilliant general Stanislaw Poniatowski, and Teodor went into the church, in 1720 becoming bishop of Poznan. Despite their different paths, the four men in the family worked as a perfect team; Michal as the strategic planner, August the banker, Teodor the ecclesiastic power, and Poniatowski the soldier. By 1750 they formed the most powerful family in Poland and using Russia's support, they planned to elevate either Adam Kazimierz Czartoryski or his cousin Stanislaw Poniatowski to the throne.In the end it was Poniatowski, who had strong backing from Russia and was at one time the official lover of the future Empress Catherine the Great, who was crowned King Stanislaw II Augustus of Poland in 1764. The Czartoryski family used the Czartoryski arms and the motto, Bądź co bądź ("Come what may", literally 'let be, that which will be '). Their arms were a modification of the Vytis or Pahonia- the traditional Gediminid (Gediminaičiai) coat-of-arms that is currently the official arms of the Republic of Lithuania and a traditional symbol of Belarus. The members of this family bear the title Prince or Princess Czartoryski together with the formal appellation of His or Her Serene Highness.